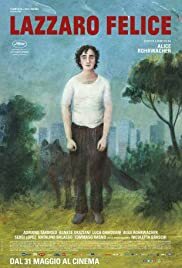 Winner of the Best Screenplay Prize at Cannes this year, this sweet surreal tale of a simple villager Lazzaro (Adriano Tardiolo) is tough to make sense of or understand. But it is one of the most entertaining foreign films to reach North American screens this year. The film’s plot involves oppression, politics, folklore and fantasy. The centre of the piece is Lazaro. Lazarro is a likeable youth who works very hard in the tobacco fields. He does exactly what he is asked to do, never complaining. Everyone likes Lazzaro. The film’s setting is an estate called Inviolata, Italy isolated since 1977. 54 farmhands work on a tobacco farm in a sharecropping arrangement, where they are constantly in debt and thus unpaid. The farm is run by the notorious Alfonsina de Luna, “Queen of Cigarettes”. Lazzaro is a worker on the farm who dutifully follows every command given to him by the marquis and the heads of the estate. Tancredi, the spoilt son of the Queen of Cigarettes is a marquis who befriends Lazzaro. Becoming disillusioned with the cycle of exploitation on the estate, Tancredi decides to defy Alfonsina by faking his own kidnapping. 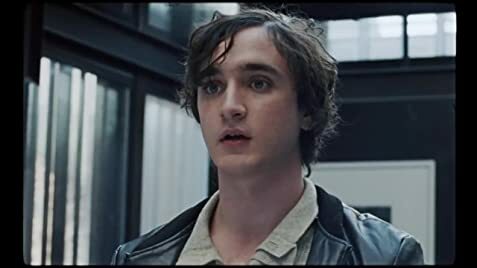 Tancredi and Lazzaro set out in the wilderness and ditches, where they write a false ransom note with Lazzaro posing as the kidnapper. They imitate a wolf’s howl to make contact with a wolf roaming the countryside; Tancredi also warmly suggests they could be half-brothers, since Tancredi’s father was a womanizer. Lazzaro takes the idea of their brotherhood seriously. Director Rohrwacher.’s storytelling is compelling and she has her audience’s full attention – no doubt about the fact. At the one-hour point, she dishes out a plot twist where Lazzaro falls from a cliff and presumed dead. When Lazzaro awakes many years later, he is unaged and wanders into Inviolata, which is long abandoned and being raided by robbers. As if this is not enough too hake up the audience, a voiceover tells the folk tale of a wolf that grows old and leaves the wolf pack to steal chickens from the village. The villagers try to capture the wolf but are unable to. How is this tale tied to the film’s story? There is a wolf in the film’s story. There are a lot of other instances that requires the audience to put on their thinking caps. This is what mesmerizes the audience and keeps attention from waning, In short, HAPPY AS LAZZARO is a mesmerizing and fascinating film. The pleasure of Rohrwacher’s is simple. Like Lazaro, there is no need to worry about the world or what is happening but just to be content and happy.